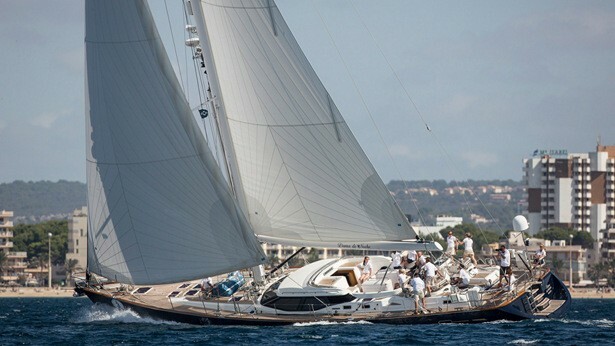 Luxury charter yacht DAMA DE NOCHE was launched in 2008 by the renowned Oyster Marine of the UK. 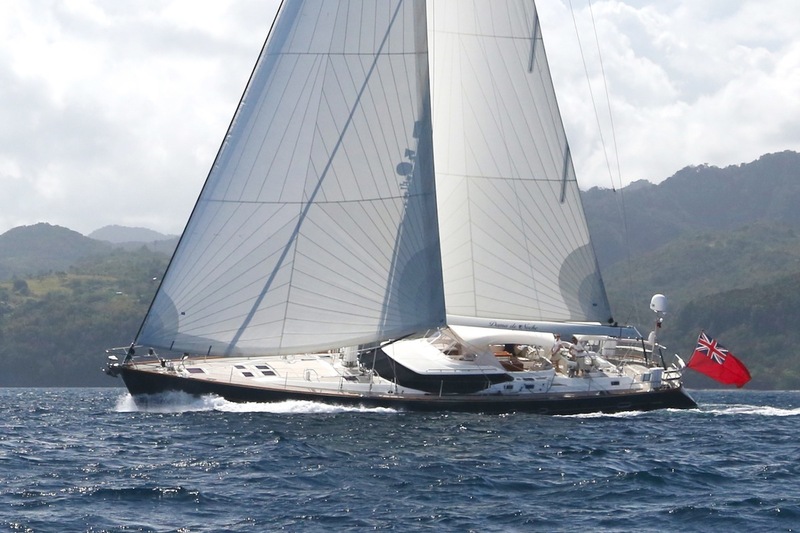 Measuring 24,99m (82ft) in length, S/Y DAMA DE NOCHE offers generous interior and exterior living, for up to 6 charter guests, sleeping in three cabins. 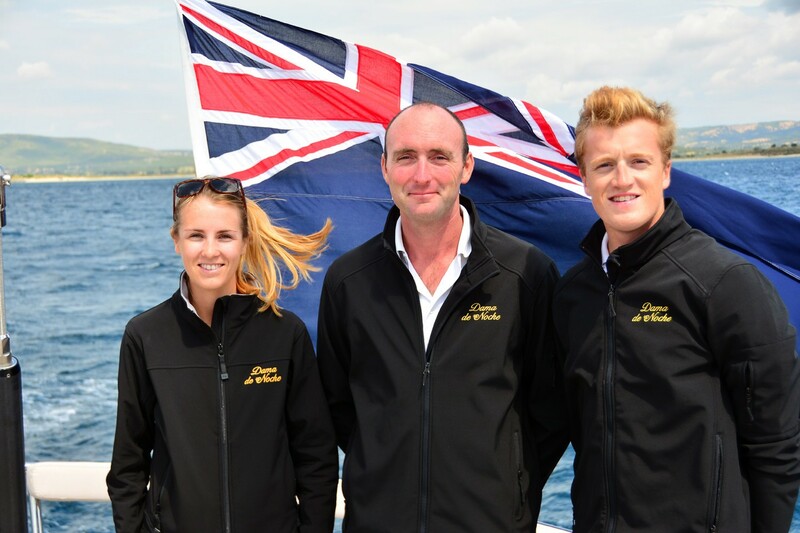 She has a crew of three. 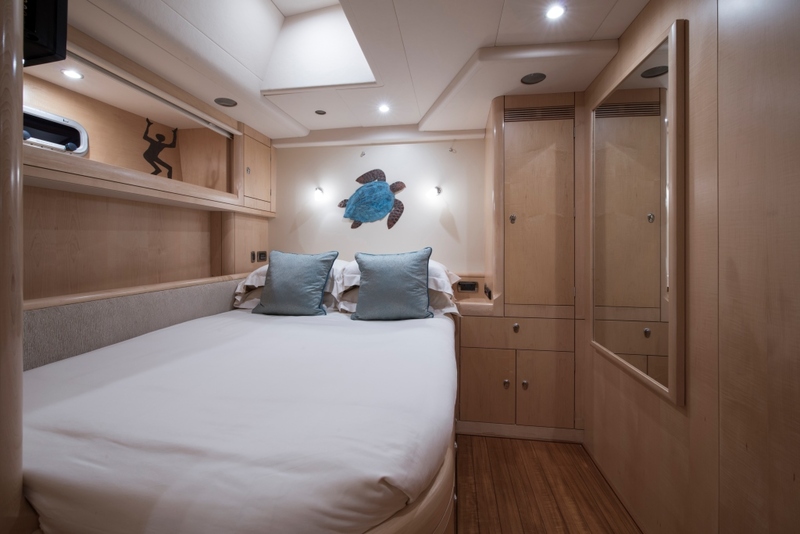 Sailing yacht DAMA DE NOCHE features contemporary light teak panels and neutral soft furnishings, creating an elegant and airy atmosphere below decks. 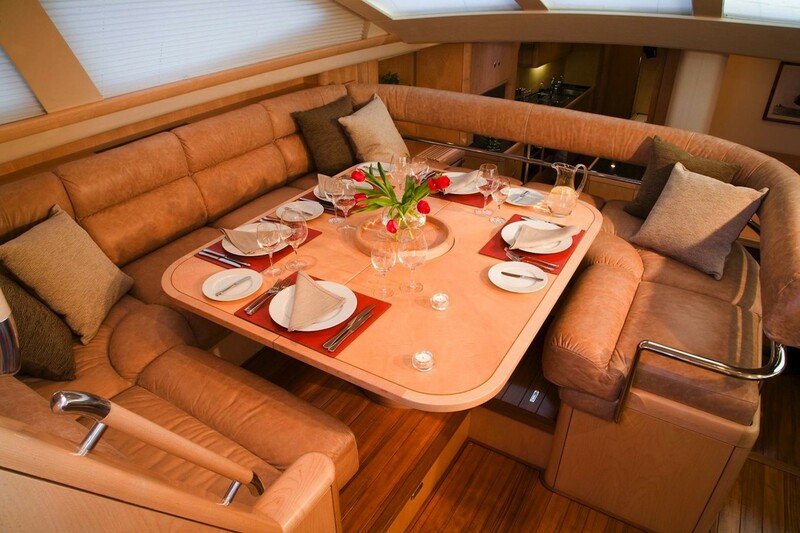 An upper salon boasts wrap around windows and stunning views, the perfect area to enjoy a social dinner and entertain. 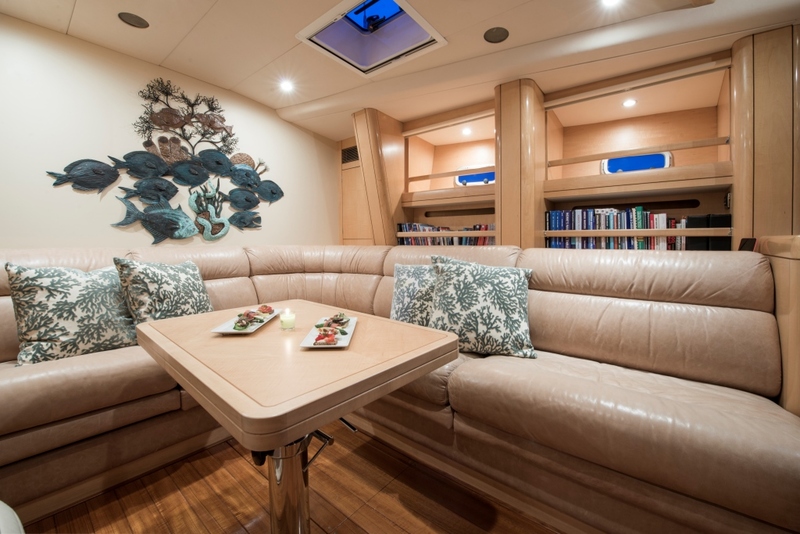 The lower salon is spacious and comfortable, ideal for relaxing at any time of the day or night. 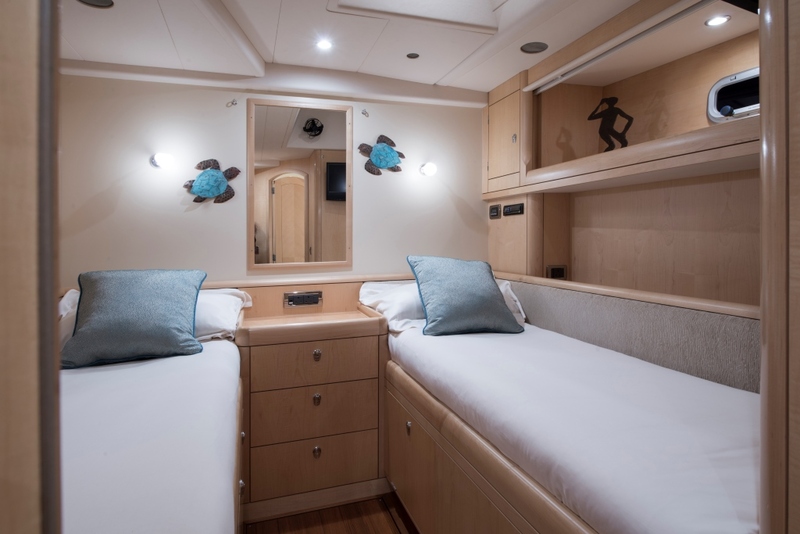 Guest accommodation is in one master stateroom aft, with a full beam layout and centre lined double bed, and 2 guest rooms forward of the salon. 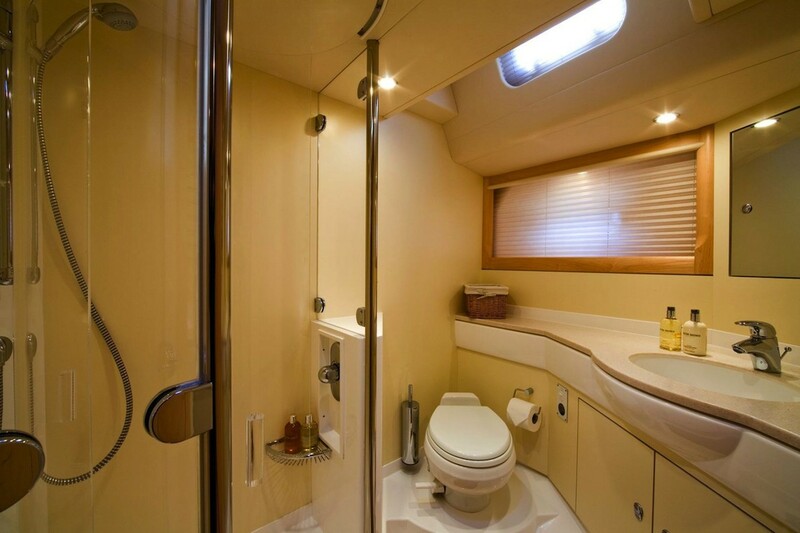 The 3 guest cabins all offer private en-suite facilities with showers. 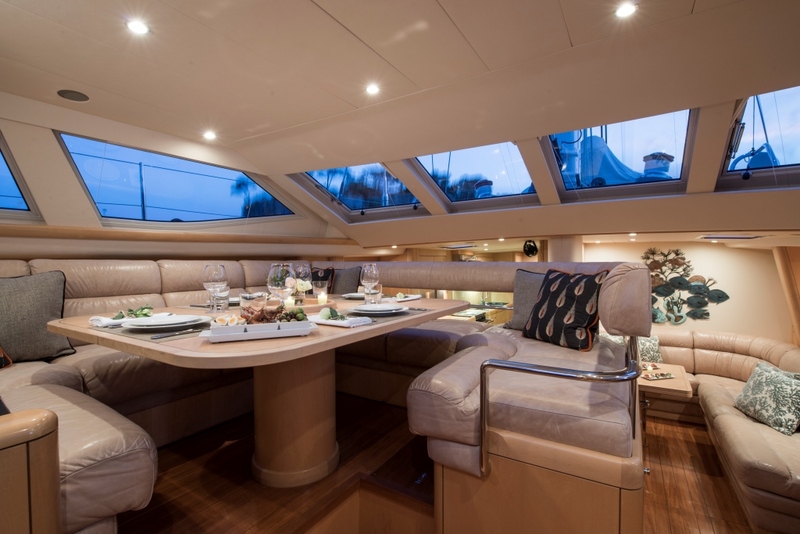 Charter yacht DAMA DE NOCHE is fully air-conditioned throughout. 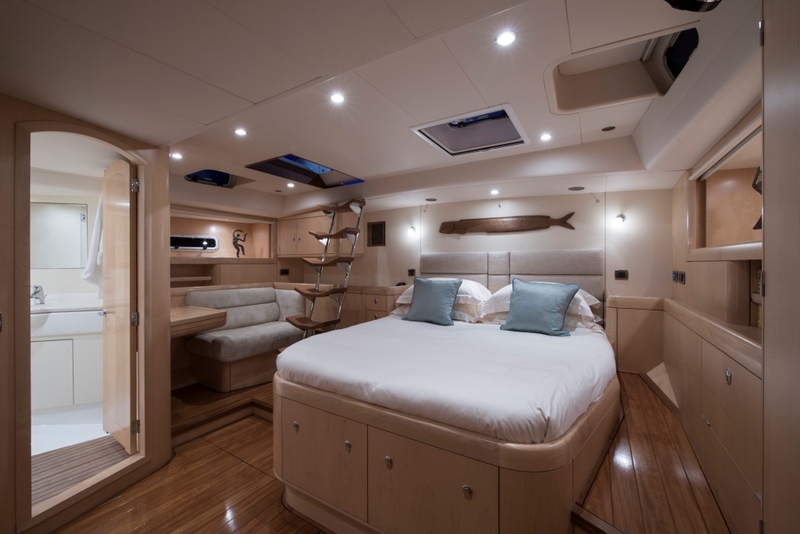 On deck, the Oyster Marine yacht DAMA DE NOCHE provides ample exterior living. 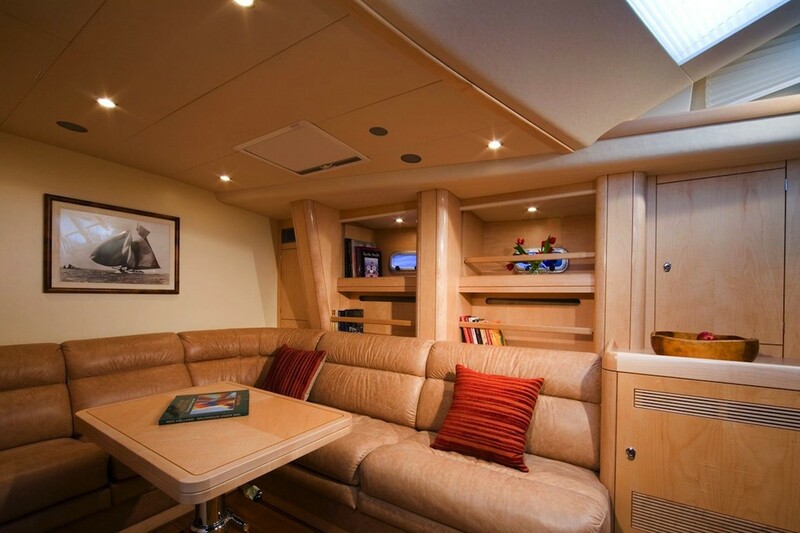 The guest cockpit is well-appointed with 2 opposing tables and built-in seating, an overhead Bimini ensures refreshing shade. 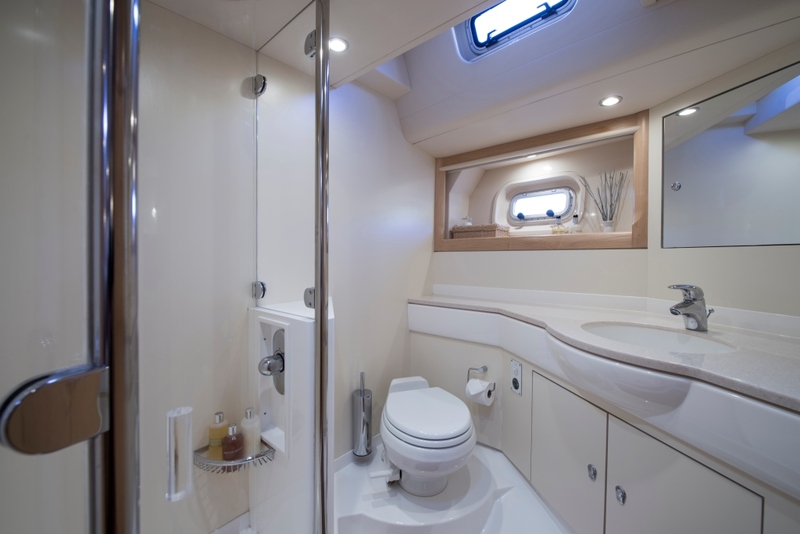 A centred walkway is uninterrupted and effortlessly leads aft between the dual helm stations, to a generous aft deck with built-in seating. 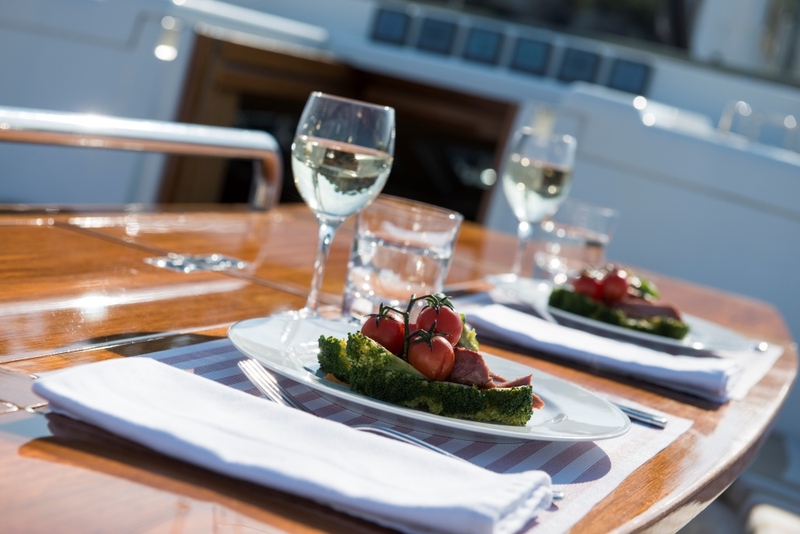 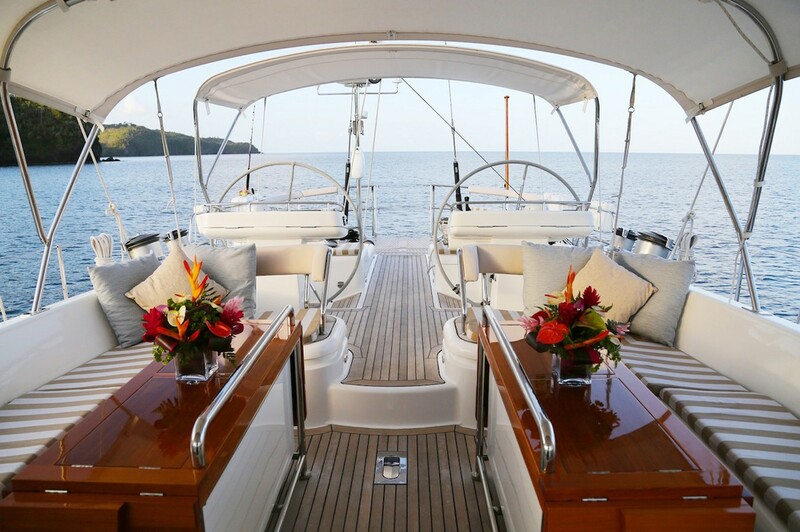 Wide side decks enable guests to safely walk forward, to enjoy the flush teak foredeck. 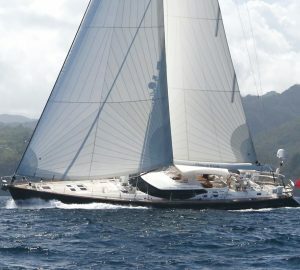 S/Y DAMA DE NOCHE is powered by a single engine, she has a cutter rig and averages 9 knots of speed. 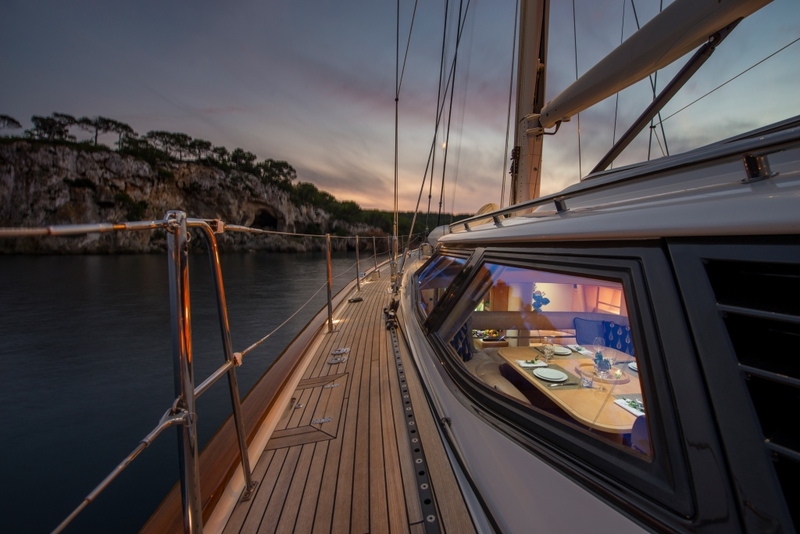 Luxury sailing yacht DAMA DE NOCHE offers accommodation in 3 en-suite cabins, for up to 6 charter guests. 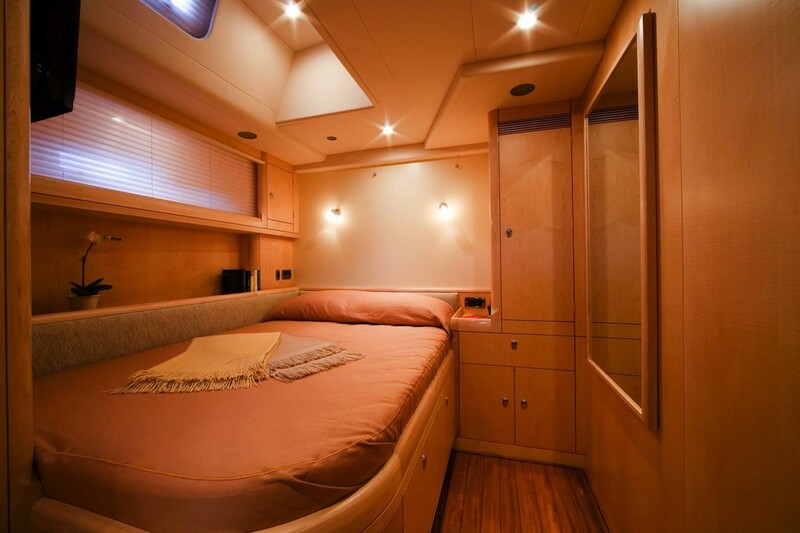 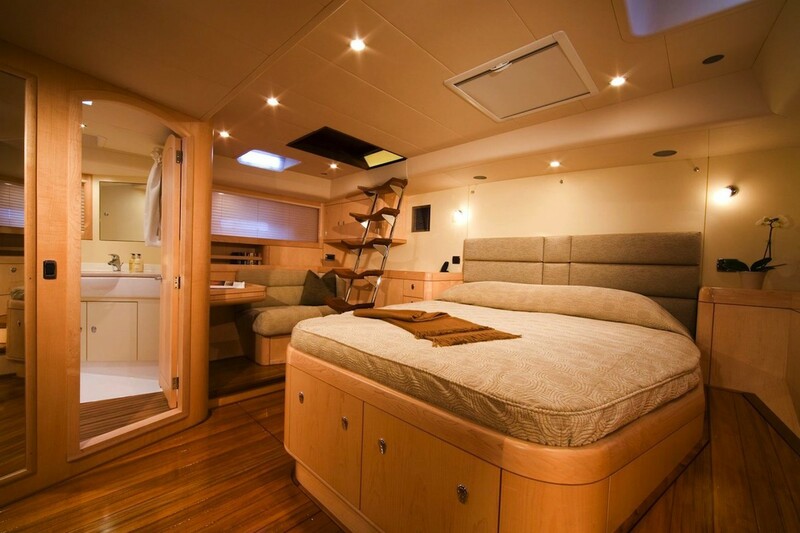 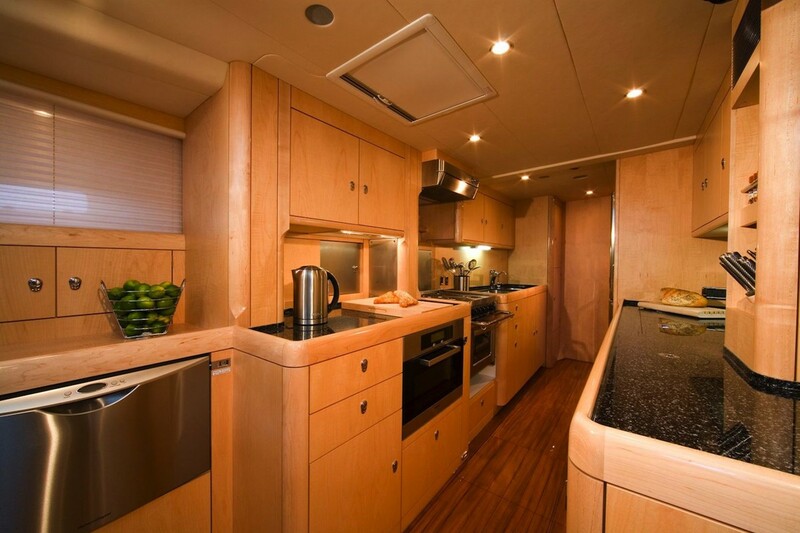 The master cabin is aft and full beam of the yacht, with a center lined double bed and both interior and exterior access. 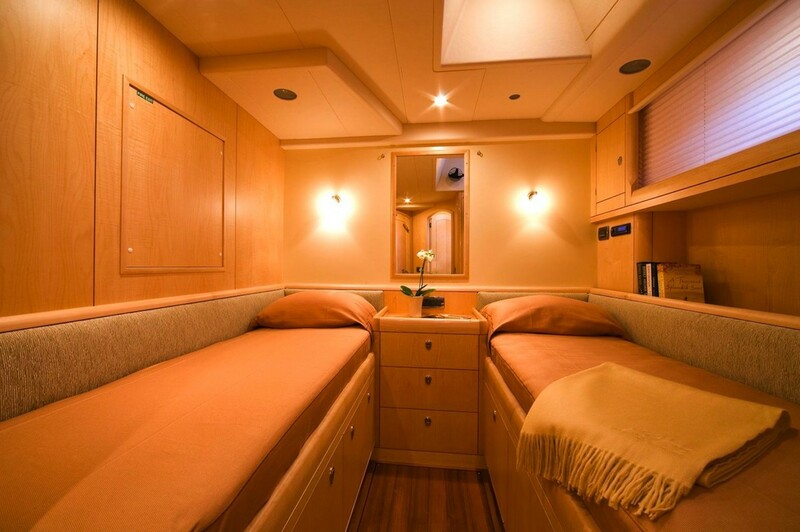 Forward of the salon, on the starboard side is a guest cabin with a double bed, while to port is a guest cabin with 2 side by side twin beds.